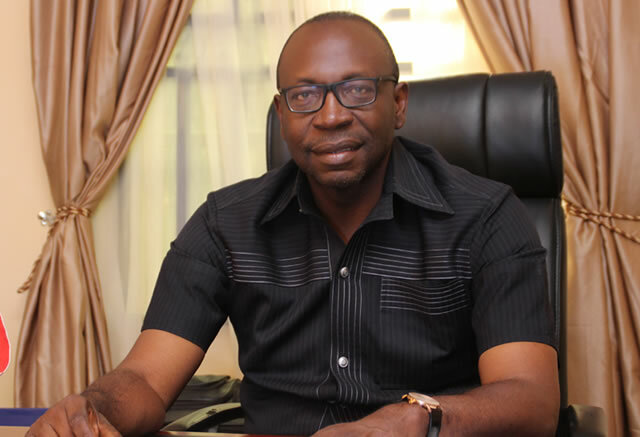 With less than four days to the Edo State governorship election, the candidate of the Peoples Democratic Party, Pastor Osagie Ize-Iyamu, has maintained that he will not be distracted by the probe of the Economic and Financial Crimes Commission. Ize-Iyamu had been invited by the EFCC to explain his role in the N700m received by the state chapter of the party from the immediate past administration of former President Goodluck Jonathan for the 2015 presidential election. But the former Secretary to the State Government under former Governor Lucky Igbinedion explained that while the anti-graft agency had the right to continue with investigation on the matter, he would focus on his election. The former state coordinator of the Jonathan campaign, who spoke to our The PUNCH on Monday evening said, “Am I under arrest? I have already explained my part. If they say I am still under probe, that is ok.
“But at least, you know I am not under arrest. I am not in court. “So, if the say they are still investigating, they have the right to do that. I am not the EFCC; they have the right to continue their investigation,” he said. Also speaking, the PDP state Chairman, Chief Dan Orbih, said that the party’s candidate had responded to all the questions put before him the EFCC. Orbih noted, “What has that (probe) got to do with the election? He (Ize-Iyamu) is walking freely on the streets. “He was invited in connection with Jonathan’s election because he was the state coordinator.